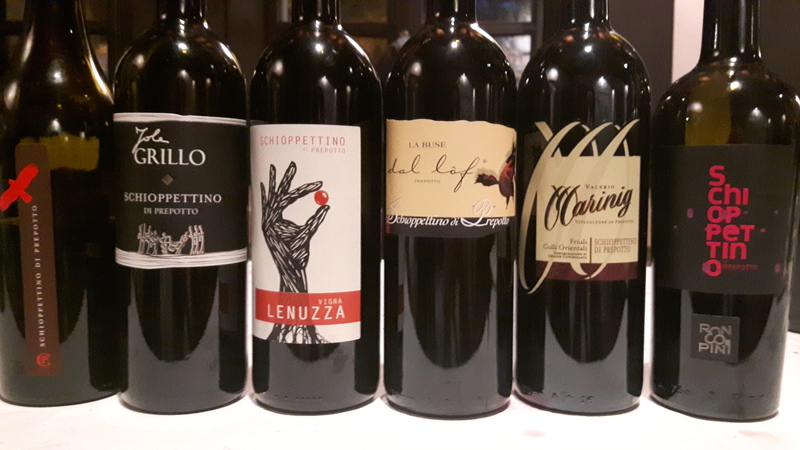 Friuli is well known for their fabulous whites, but on my recent trip to the region, we imbibed in the reds of the regions, and likely the most famous, is Schioppettino (Sk-YIP-a-TEENO). There are many producers of this fine grape, and on a side trip, we even got to taste a vertical at Ronchi di Cialla, in Prepotto, where this estate founded 70 vines in 1970 and planted and nurtured them illegally for the first few years! 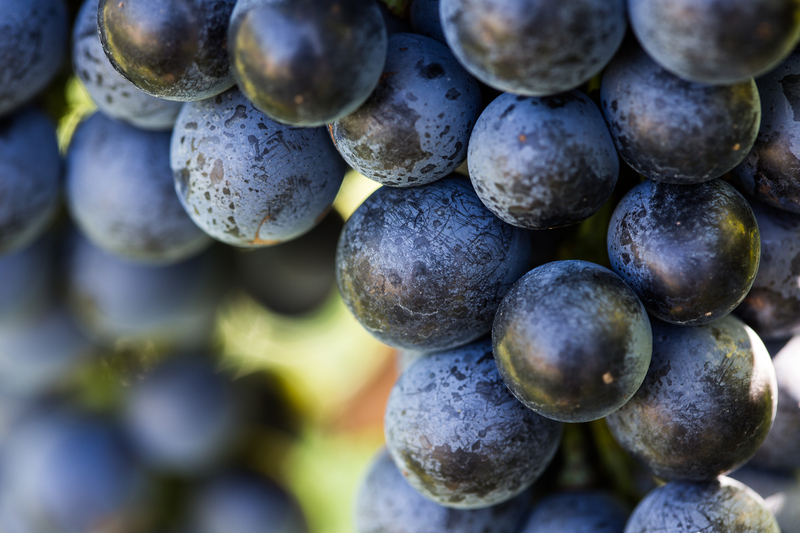 A forbidden grape at the time, as it was thought to be extinct, it’s the Rapuzzi family we have to thank for making sure this grape did not become extinct, and now in the Prepotto area alone, there are 26 producers of this fine grape! In 1989, Schioppettino became a DOC Colli Orientali del Friuli. Some might know this grape as Ribolla Nera. During my recent trip, we had two flights of Schioppettino, and although all wines tasted are from the DOC Colli Orientali Friuli, there are some that are Schioppettino di Prepotto DOC Colli Orientali Friuli. Say that one five times fast! And Ronchi di Cialla is in Prepotto, and one would wonder why they weren’t involved in this tasting; they are certainly of quality! Well, I was one of the few that got to taste the vertical afterwards right at their estate, so I got the pleasure of tasting their wine as well as the Schioppettino of other producers! Win-Win! So what makes Prepotto different? Not much really, but great tasters could tell the difference between a Schioppettino from Prepotto and one that is not. I am not one of those people! I WILL tell you that they use indegenous yeasts here (which always give great character and flavour to the wine) along with having marl/clay soils, and gravel by the river shores. Diurnal range is also a big factor in this subzone, to give that huge shift in temperatures from day to night, a big factor in the ripening of the grapes. The wine made from these grapes is pretty unforgettable. If you’ve ever had Schioppettino, you know what I mean…that classic green peppercorn note, that can be reminiscent of a Côte du Rhone Syrah in its youth. Colli Di Poianis – I always love hearing the history behind these estates, and how it all started. Although the Schioppettino was planted in 1980 here, official documents suggest that it may have been grown many decades before that. Remember that Schioppettino was outlawed, so if there grapes, nothing could be done with them. This estate has 1.7 ha, and produces only 3500 bottles of Schioppettino. A pretty aromatic little wine with lavender, that characteristic pepper spice with cranberry and raspberry aromas. High spice on the palate with cherry, blueberry, cranberry tart acid and medium alcohol and tannins. No overextraction here! Really lovely. Grillo Iole – like many, a family run estate, founded in 1970. The winemaker Anna (daughter) actually left the family business and had a completely different career before she came back to the family business in 1999 to assist her father. Another well balanced wine with those lavender, peppercorn notes again with a softer mouth of cranberry and raspberry. Bright ruby in colour with a decent lengthy finish! Vigna Lenuzza – A certified organic estate, I detected a slight note of vanilla on this wine, which always leads me to oak use. I like a little vanilla in my wine, as long as it’s only a hint! No vanilla bombs for this girl! Along with cherry, lavender, and hints of green peppercorn, chocolate and smoke, there was a vanilla note on both the nose and palate. Sure enough, this estate uses American oak in once used barriques for 20-24 months for softer tannins. A different expression of Schioppettino that I really enjoyed! La Buse Dal Lof – An estate that is named after a hermit who lived in the area, they make 15K bottles from 4ha of Schioppettino. Lots of aromatics with rose, lavender, hints of pepper, blueberry, raspberry and big time sour cherry! More of the same with that lovely spicy note! A real elegance to this wine that I very much enjoyed! Marinig – Bought in 1921, this estate owns 9 ha, of which 1 ha is Scioppettino, resulting in 4-5000 bottles. Not the typical peppercorn spice on this one, it had more of those sweet spices like cloves – 10% new barriques certainly showed themselves with the mocha, chocolate cherry notes on this wine. This wine was extremely soft on the palate with a good balance of acid and tannins, but I felt the oak masked those quintessential flavours we all know and love about Schioppettino! Ronco Dei Pini – Bought in 1962, the first bottle produced by this family run estate was at the end of the decade. Production is 6-7000 bottles from 1.5 ha of Schioppettino. Great varietal character here with more of that spicy green peppercorn! This wine was bright with sour cherry, raspberry, lavender with medium acidity, tannin and body. At the end of a successful tasting! It is truly an honour and a privilege to be able to taste and experience autochthonous grapes from Italy, and I love sharing my knowledge with others. I hope everyone who reads this post has a sense of how important Schioppettino is, not only to Friuli, but the rest of Italy and the world! I know I have one on my shelf (however not one of these producers), and I hope to get more! Salute! 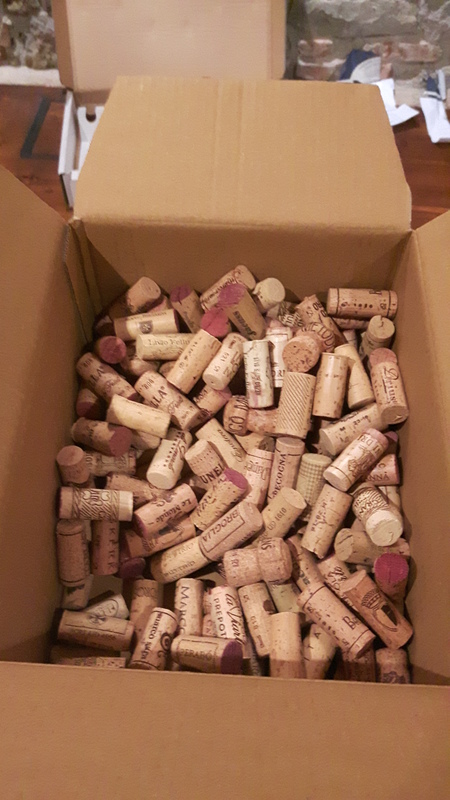 This entry was posted in Tasting, Varietals, wine and tagged autochthonous, Cialla, estate, Family, Friuli, Italy, legal, local, native, old vine, opportunity, Prepotto, producer, Roncho di Cialla, Schioppettino, tasting, wine. Bookmark the permalink.